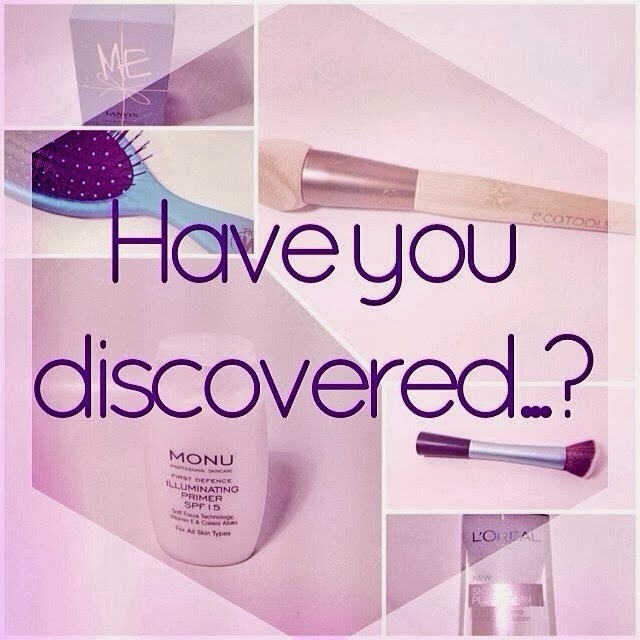 I'm really excited to be typing this post in the Have You Discovered…? series because I've been meaning to talk about this product for quite some time and now is the perfect time! 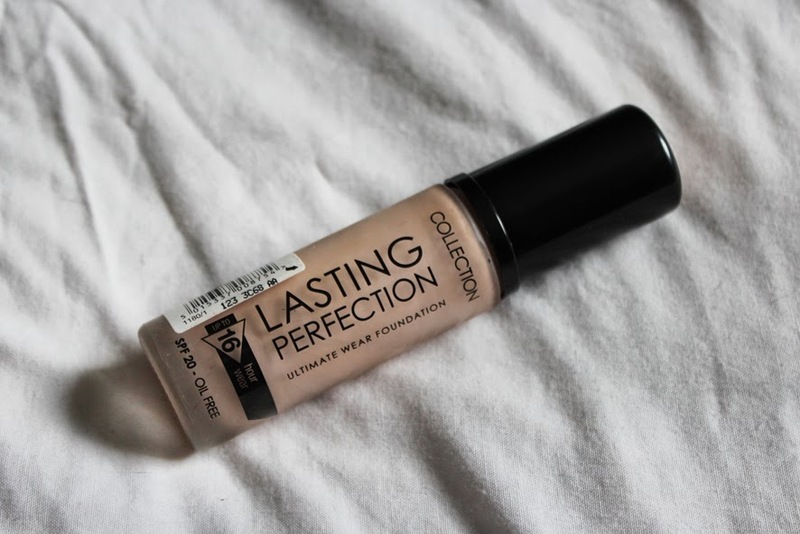 Today's topic in the series is foundation and I'll introduce you to my new favourite foundation: the Lasting Perfection Ultimate Wear Foundation by Collection! I usually use up a bottle of foundation one at a time. But I found that my Rimmel London Match Perfection foundation looked a bit dark on me the last few times I applied it. So I picked this (to me undiscovered) product up on a trip to Boots a bit over a month ago. 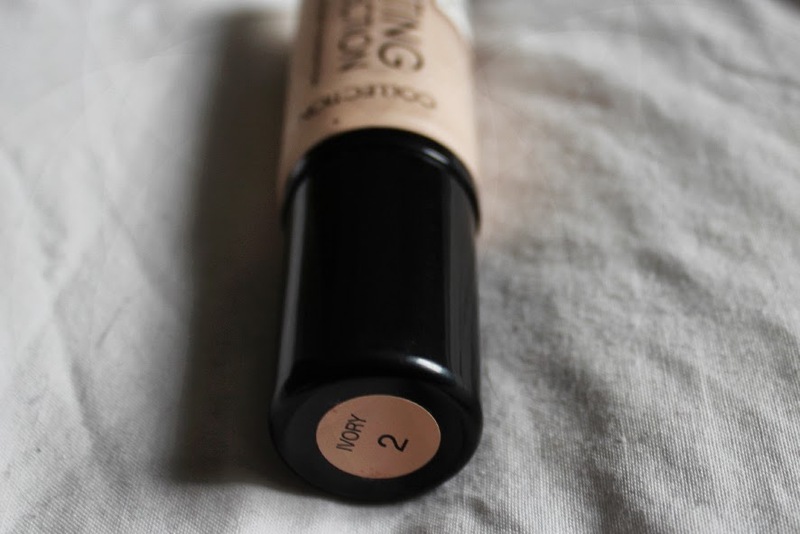 I love the Collection Lasting Perfection Concealer so I thought what better addition to my makeup bag, than the matching foundation to the concealer! And I'm quite happy I bought it! The foundation is supposed to last for up to 16 hours, give flawless coverage and minimize imperfections. Since I never wear make up for 16 hours straight I can't tell you if that statement is true, but the foundation definitely stays put throughout a party night - which I think is already a winner! The product gives me a fresh looking face and has kind of a dewy finish. It covers up very well, but I still use my (now matching) concealer to cover up some spots that still bug me. It also has SPF20, though I'm not one of those people who really cares about that or picks a foundation based on the SPF (don't know why but I'm never really bothered with that! Is that bad?). As you can see I got it in the shade "Ivory 2". You can get this foundation at Boots for £5.99 - but I just checked their online store and it's on offer for only £3.99 at the moment! A great bargain for this great product! I'd love to know if you've tried this foundation before or if you have thought about trying it! Also what's your favourite foundation that's still "undiscovered"? I hope you have a lovely sunday evening - and don't forget to check out the posts by all the other great bloggers that are taking part in this series! Find the list of them here! I love your blog! I have not tried this foundation yet, but I am looking forward to trying it soon. I have followed you with Bloglovin and if you would look at my blog I would be so delighted. Thank you very much! Oh thanks so much lovely!